Low profile Clean-off Mats comprise of hard wearing plastic layers coated in positive adhesive which is non-transferable and anti-microbial. 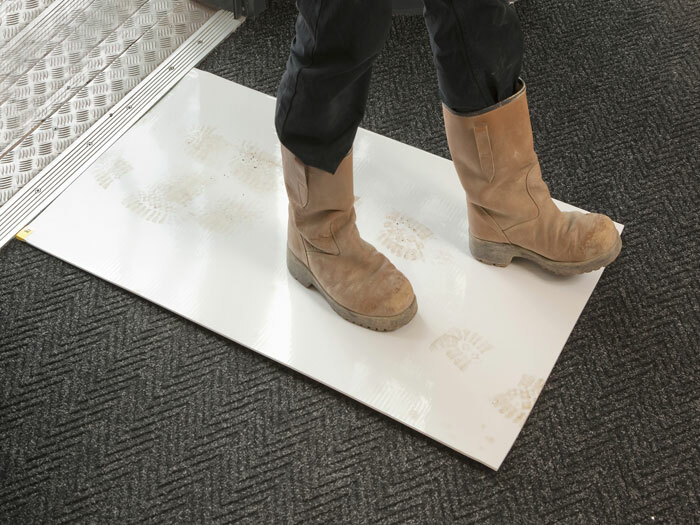 Each mat is only 4mm thick which enables them to be used under doors or when placed at the entrance to sensitive areas pedestrian traffic is compelled to step-on and step-off the mat. Each sheet is peeled off individually when it is soiled and no longer effective. Mats can be laid end to end or side by side to achieve the desired size.